As promised, I’m back! Thanks for not giving up on me. Pneumonia is a beast! All I ate for two week was Chicken and Stars, Easy Mac, and chocolate pudding cups. This weekend was one of the first times I’ve felt like cooking since the sickness attack. Now, I know I’m really better. 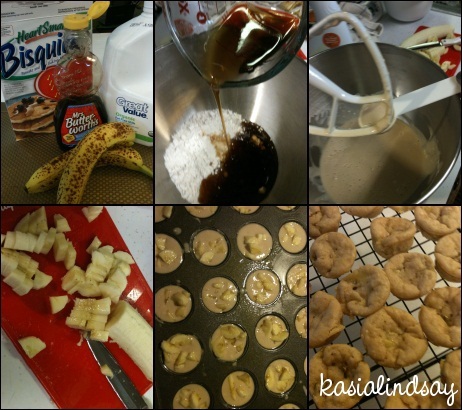 This morning I got up and made these amazing, tasty, EASY banana pancake muffins! I have a new favorite healthy food blogger: Emily Bites. She is amazing. 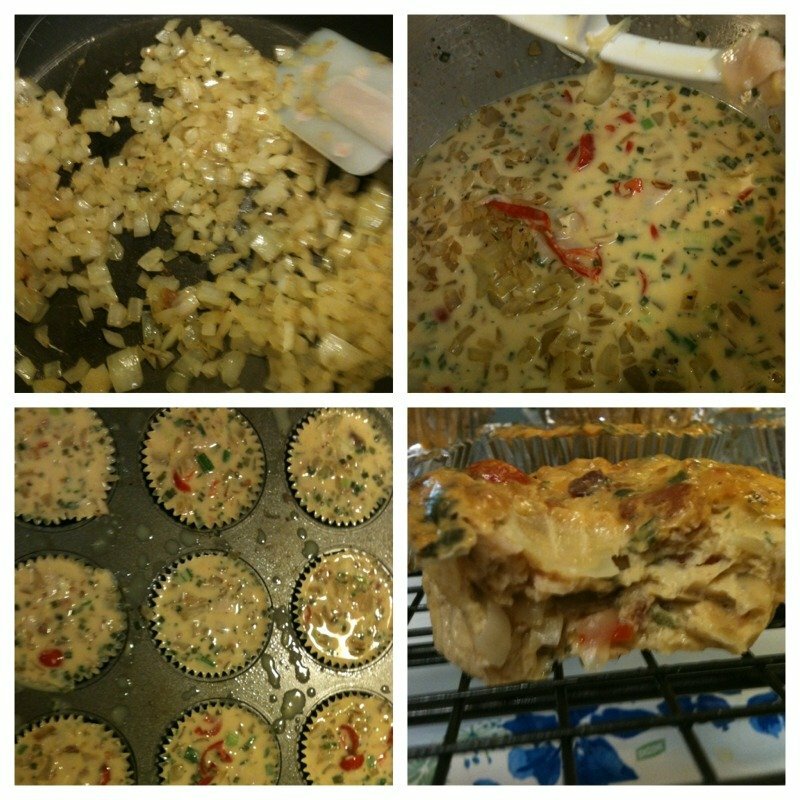 She does creative and different Weight Watcher friendly recipes. I got these banana pancake muffins from her! I only made very few changes from her recipe. Also, after reading her post to make these cutie muffins, I’ve totally had the Jack Johnson Banana Pancakes song stuck in my head ALL day. I added more banana that she did and I used sugar free syrup. With the sugar free syrup swap (verses the light that she used) I got it to be lower points according to the Weight Watchers Recipe Builder! Her version was 4 points per serving (4 mini muffins) and mine was 3 points per serving. Preheat oven to 350. Spray a mini muffin tin with butter flavored baking spray. Stir Bisquick mix, syrup, and milk together until smooth. Chop the banana into small pieces. Spoon 1 tablespoon of mixture into each muffin tin. Divide mixture evenly into the 24 cups. Add banana pieces onto each cup. Depending on the size, I put about 4-6 pieces in each cup. Bake for 12-15 minutes or until golden brown and cooked through. It makes 24 muffins, 6 servings of 4 muffins each. Each muffin is 1 points or 3 points per serving. They are the perfect sweetness for me, but if you want extra sweetness you could dust with powdered sugar or serve with extra syrup for drizzling or dipping. I had mine with some fresh strawberries and yogurt! A perfect little Sunday brunch. Did I mention that I’m loving this whole church on Sunday nights thing? Sunday brunch just feels luxurious and relaxing. Relaxing should take place on the Sabbath day right? I’m going with it. Now I have these sweet cutie muffins as a breakfast option for all week as well! Oh how I love prep work. And preparing healthy breakfast or lunch options to have for the week. I decided to go ahead and make my faithful crustless quiches as well while I was having a happy Sunday baking day. I used my same base recipe (linked above), but changed them up a bit. I made them big guys instead of little guys. I used fiesta 2% cheese instead of Parmesan and American, added an extra sauteed onion to make them super sweet and oniony, and added some chopped tomatoes. According to the Weight Watchers Recipe Builder they are only 2 points each! For a big filling egg muffin that’s not bad! Using a big muffin tin makes 12. I’ll give you one more to grow on! Just because I’ve been good about taking pictures, tried some pretty yummy things, and it fits with the brunch theme (even though I kinda sorta ate it as a dessert, oops). Holy cow this is good. Like I said, I actually ate it for dessert! But it’s totally a breakfast food! I got the recipe from Chocolate Covered Katie, another healthy food blogger I love. I pretty much used her recipe exactly except she does vegan and I don’t. I’ll post my version, but for the original just see the link above. Combine all ingredients and cook uncovered over medium-high heat for 5-7 minutes. Stir occasionally. I sprinkled some chocolate chips (a very small handful, less than 1/4 cup) over top and stirred them in just slightly. It’s a lot! Two people could eat this as a dessert or one for a hearty, filling breakfast. It’s 10 points for the entire serving, 5 for half. I also topped it with a little fat free Cool Whip for 0 points. Try these out for your next breakfast or brunch. We should have a big brunch pot luck party. That would be fun. I’m gonna avoid that awkward moment where we discuss what a bad blogger I’ve been. I know it’s been since September. I also know you missed out on a lot of great recipes and excess rambling. But we’re avoiding that, k? Okay, good. I do think I’ll do that thing I did last year, where I posted a list of all the recipes you missed and let you pick any that you’d like me to back track on. But aside from that, we’re picking up now and moving along. Now that we got that out of the way, I’d like to tell you the quite rambly-hyper-babbly-full of unimportant details story called today. I was unusually hyper most of the day. It could have been because I had my second great hair day in a row. Or because I finally discovered my favorite coffee. Or because I dozed off early only to wake up and not be able to sleep until 3am and was actually confusing sleep deprivation with hyper. Whatever the case, it was an unexpectedly great day. Today I had to be at work at 9am. I “accidentally” snoozed until 8:20. I needed to make coffee, pack a lunch, and pack breakfast. I decided I did not have time for hair washing. So I predetermined and accepted it would just be bad hair day. But it wasn’t! It’s a fabulous hair day. And then… something life changing and legendary happened. Begin story interruption to pause for a brief interjection. I have been watching WAY too much How I Met Your Mother because I really wanted to use the word legendary way too many times by 10am this morning. I might have watched the entire first season on Saturday. End story interruption. To backtrack a bit, last night my RA visits and tosses something on my table. It was so casual, so not life changing. “Here, I got this for you.” A free sample of Starbucks new blonde roast coffee. Mundane. Free. I’ll take anything that’s free. Totally not legendary. Since I woke up late and had no time to grind my normal (as of December) toasted pecan coffee beans, I reached for the already ground sample. While it brewed, I packed my healthy lunch and picked a cute outfit to go with my good hair day. I put on a sparkly owl necklace and my big over-sized sparkly owl ring. It was that kind of day. The kind where it’s okay to wear big blingy over-sized sparkly owl rings. And then… I poured the coffee. The color intrigued me. It was so… inviting. I measured out my creamer and added my sweetener of choice. I grabbed my purse and my work bag (which is just an excuse to have two purse-y things and carry even more unnecessary stuff around) and my lunch bag. Okay so I carry three bags. Don’t judge me. Right before I walked out the door I took my first sip. I’ve never been one of those people who have a favorite coffee. I love Starbucks specialty drinks, which I could give you a list numbered and bulleted with notes and seasonal details in order of which of those are my favorite. However, those are the cocktails of coffee. Even non-coffee drinkers can find one of those they like. Thus, I always felt like I was a minor league coffee drinker because I didn’t have a favorite and couldn’t tell the difference in normal brewed drip coffee. I mean don’t get me wrong, bad coffee is bad coffee everywhere, but everything else tastes the same to me. Maybe a hint of this or that, but all in all, it’s the same. But today… My life changed. I officially have a favorite coffee. It felt like gold hitting my taste buds. So smooth and velvety. I am in love. Hyper. Rambly. Babbly. Dramatic. But in love. With a cup of coffee. My good day and life changing, legendary coffee experience was so poetic it made me want to write and blog again. And you know me. I can’t post a blog without a recipe. What goes best with life changing coffee? Scones! I’m back on the healthy wagon and putting away all those not so healthy holiday treat recipes until next year. But as you know, healthy is and can be yummy too! Thanks skinnytaste.com for always giving me modified “skinny” treats to satisfy my sweet tooth and scratch that I must bake at least once a week itch. 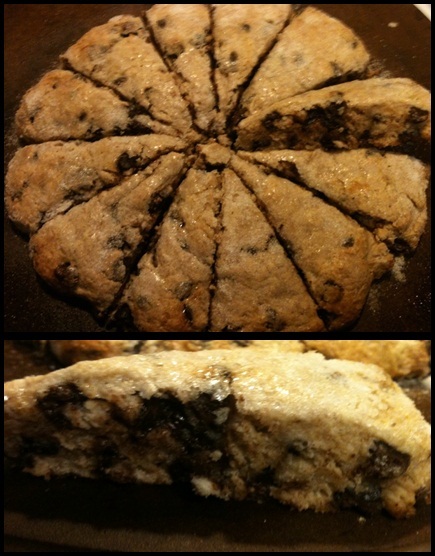 I made her Skinny Chocolate Chip Buttermilk Scones to have for breakfast this week. Only 5 points each and really yummy! I followed the recipe exactly and oh how yummy one of these tasty little scones were with aforementioned legendary coffee. Nope. Not Christmas… AUTUMN! Okay… technically it’s not until September 22nd, but almost! It’s close enough for me to begin celebrating all things fall!! Living in the Louisiana (the land of few trees and even fewer than change colors) for the past four autumns, I forgot that Mississippi and places in the south can actually have autumn! Some of the trees are starting to change already. Driving down the interstate, a breeze of wind caught the leaves of a cute little yellow tree and they magically fluttered through the air. I actually got tears in my eyes and squealed “fall” in utter bliss with a big smile while driving in my car. 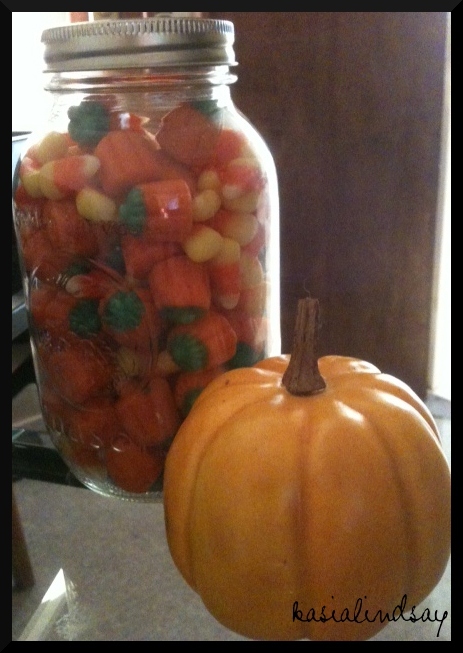 So in my world, it is officially time to light the fall candles, put out the fall candy (it’s so cute in a mason jar! 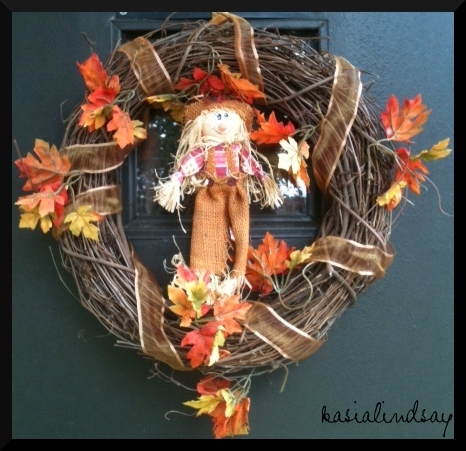 ), bake all the fall things, and hang my homemade fall wreath! And so this weekend, the official weekend of the end of summer, I fully welcomed autumn with all the love I could deliver! How you might ask? A party with the kitchen, a few cans of pumpkin, and me! I’m so thankful for this season coming now! After a month of all the chaos that is the beginning of a school year in the higher education world, I’m finally back. Life has been so busy, three weeks of training, and the first hectic week of school and students moving in. I haven’t been able to workout or eat properly at all! The good news, I didn’t gain! The bad news, I didn’t loose anything but my motivation. The coming of the season I love was just what I needed to find my motivation. I literally haven’t cooked or planned a meal in a month (food provided, eating out, lots of cereal, etc.). This week, that all changed. I planned meals for the next three weeks and had a pumpkin/autumn extravaganza! I took this recipe directly from my favorite recipe blog skinnytaste.com. I didn’t have agave nectar, so I added 3 extra tablespoons of brown sugar instead of the 2 tablespoons of agave. She mentioned that agave was sweeter. So, I started with 2. It wasn’t quite sweet enough, so I added 1 more. It’s SOOO good. I’ve been eating it with apples, but I can’t wait to try it on bagel thins as well. The recipe makes a little over a cup. It’s made with 1/3 less fat cream cheese and 1 point per tablespoon. I am fairly certain I will keep this in my fridge until spring reappears! This recipe also came directly from skinnytaste.com . I didn’t make any changes at all. She suggests 1-2 teaspoons of pumpkin pie spice, according to your taste. I LOVE pumpkin pie spice, so I used two. She says you can use apple cider or juice, I used juice. 2-3 cinnamon sticks, I used 3. I used Libby’s canned pumpkin puree (not pumpkin pie filling). Can I just tell you, this is amazing! In the comments on her blog post people asked how long it would last in the fridge, and she says 3 days. It makes A LOT, like 4 cups a lot. I plan on using it past 3 days though. 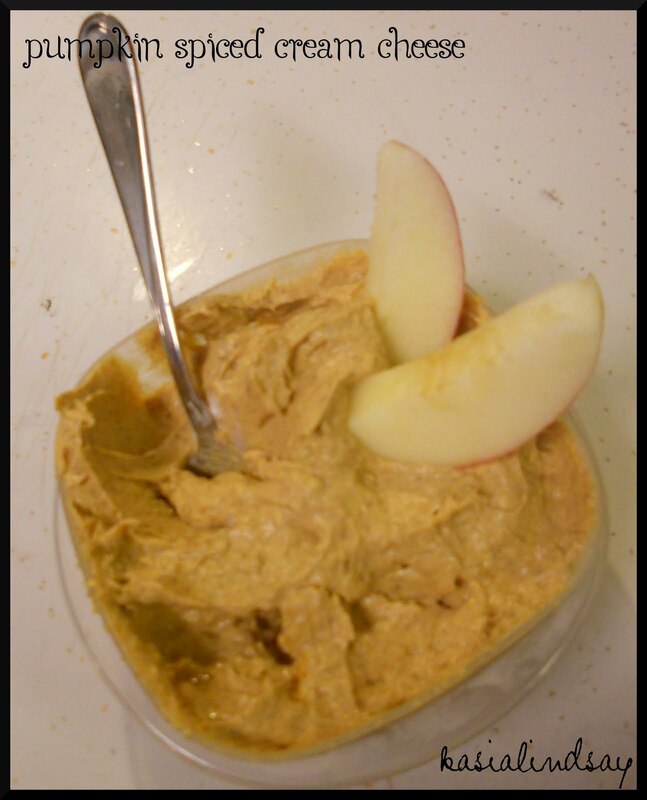 I did some research and most places said you could use apple and pumpkin butters longer, up to 3 weeks. BUT still, there is no way I’d use 4 cups, so I am freezing some in ice cube trays for individual portions to store in a freezer ziplock bag. I do believe I will eat this for breakfast every day this week! It would be fabulous on pancakes, waffles, biscuits… Oh my gosh… MUST MAKE BISCUITS! My mouth is watering thinking about this yummy spread on biscuits. It’s only 3 points for a 1/4 cup! This yummy pumpkin butter is also a the key ingredient in…. Another recipe straight from my favorite! Anyone else anticipate the re-release of Starbucks’ pumpkin spiced latte every year? Or the pumpkin spiced coffee creamer that only comes out around the holidays each year. I am ecstatic when this happens every autumn! Gina (Skinny Taste’s author) to the rescue again! I followed the recipe exactly, except… It makes 2 serving and I definitely drank all of it! 3 points a serving (or 6 if you drink both like me). You need this! I also looked up how to make espresso in a coffee pot. 1 tablespoon of coffee per 1/4 cup of needed espresso. So I brewed 2 cups of water + 8 tablespoons of coffee. I’ll save the rest for another batch tomorrow. And then, with all the yummy sweet pumpkiny things. I had to have an equally yummy fall dinner right? What better way to do that than in the crock pot?! My crock pot, Tyler Duff Crock Pot to be exact, is my favorite cooking tool for autumn and winter. It’s just so warm and cozy! Chicken was on sale at Sam’s, which isn’t a typical crock pot meat, but I worked with what I had and threw some stuff together that came out really yummy! For sounding more professional, in the picture I named it Autumn in a Pot. But doesn’t fall in a crock pot sound so funny? Funny image for sure. But really, the ingredients kind of did fall in the crock pot! I tossed the onions in first, cut in half, quarters, and then once more. Threw the cubed potatoes on top of that. Sprinkled them with salt, pepper, and the McCormick seasoning. Seasoned the chicken breast on both sides with the same seasonings. Sprinkled the gravy mix over all of that. Tossed the apples and cranberries on top, poured over 1 cup of chicken low sodium, fat free chicken broth. I finished it with a little more of the maple seasoning, some nutmeg, and a cinnamon stick. Put the lid on, cook on high for 4 hours, and don’t touch. It was really yummy! Very much an autumn meal: cozy, warm, and filling. 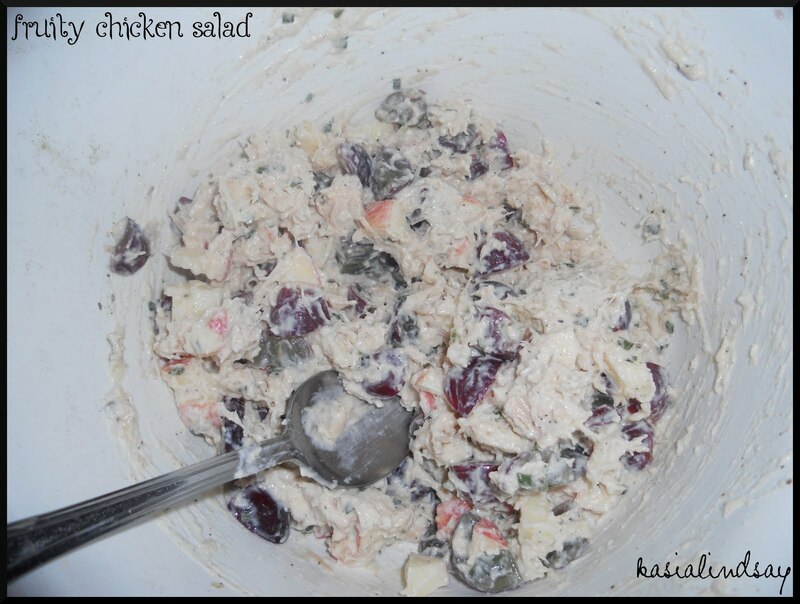 AND since I’m determined to eat healthy this week, I whipped up some fruity chicken salad to use for lunches. I usually do good with breakfast and dinner but not so good with lunch unless I have leftovers or plan! Breakfast this week will be full of pumpkin goodness! Since canned chicken was also on sale at Sam’s, chicken salad sandwiches will make my lunches happy! I don’t use any full fat mayonnaise! I use a tad of fat free mayo and for the rest of the “wet” I use fat free sour cream. A big can of chicken, dried chives, ground sage, salt, pepper, onion powder, and garlic powder to taste. Red seedless grapes and 1 gala apple chopped. Perfect as a sandwich and yummy on crackers too! Stay tuned tomorrow for Brownie Batter Dip, Strawberry Fluff, and Pumpkin Bread Pudding with Homemade Caramel Sauce! Also, if you haven’t heard of pinterest.com, you are missing out! It’s a virtual pin board! You can “pin” things you find on the web and like or things you make yourself (I’ve started pinning all my recipes). BUT the best part is browsing other pins. Everything from food, to DIY projects, to clothes, to crafts, EVERYTHING! 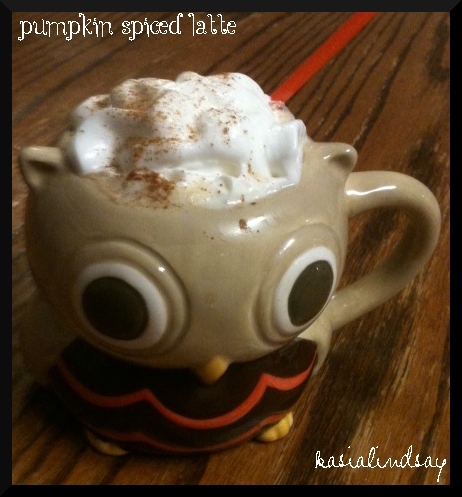 You should follow me: pinterest.com/kasialindsay! I hope you can enjoy and celebrate fall too! Or mourn the last official weekend of summer, if you must. (If you are one of *those* people, hehe kidding, I love you even if you don’t love the coming season as much as me!) Happy healthy eating! I’ve seen the idea a lot lately, from friends, food blogs, the Food Network, and Weight Watchers meetings and materials of making breakfast early in the week to eat the whole week. I was hesitant to give it a try until recently. Why you ask? Because I am so predictable and OCD organized that I sometimes fight against adding more rituals. So I didn’t want to be boring and eat the same thing for breakfast everyday! (Also, something I mix up my shower routine on purpose just to convince myself I’m not predictable). I was scared I’d tire of eating the same thing and then it would go to waste and that’s a big no no! But, in Weight Watchers our instructor gave us a bran muffin recipe that actually looked edible! I loved them! I used Kroger brand strawberry yogurt. And that should be 1/4 cup of Parkay Spray margarine. I used the optional oat, splenda and cinnamon topping and they were pretty! I plan on experimenting with these by making pumpkin bran muffins! I’ll update you when I do :). These are just 3 points a piece and not your typical cardboard bran muffins. So, these opened my mind to the prepare breakfast for the week idea, which lead me to today’s creation! 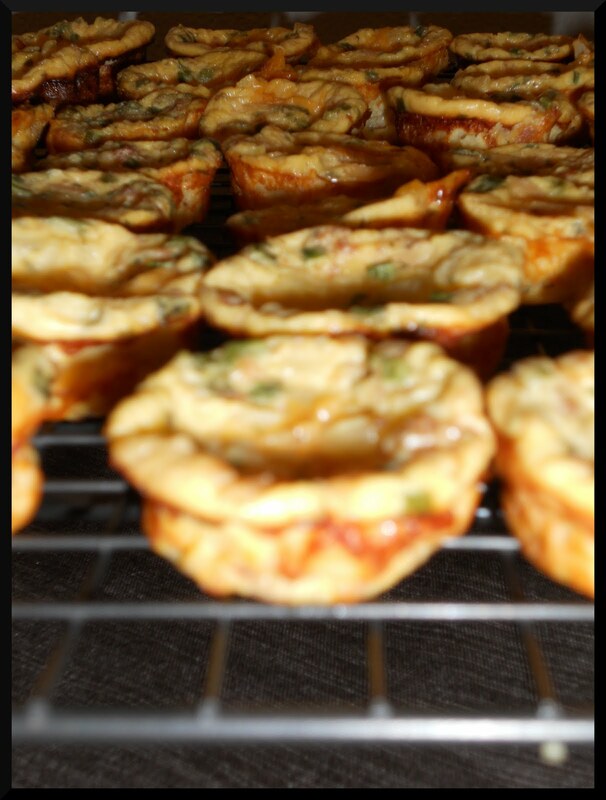 I’m not sure whether to call them Egg Muffins or Crustless Quiche. Looking at recipes I saw both. I encountered the concept from a friend doing South Beach Diet. They are apparently a big South Beach Diet thing. Weight Watchers version were called Crustless Quiches. I think I like that better because it sounds fancy! These could easily be served as a party food too. I based my recipe off of this recipe, but completely made it my own. I didn’t use wonton wrappers and my recipe is 1 points for 2!! Preheat oven to 350. Saute onions until just almost translucent and set aside to cool. Whisk together egg beaters, milk, spices and herbs. Add bacon bits and Parmesan cheese, whisking together. Finely chop deli turkey and stir in. Stir in cooled onion. Finely chop 2 slices of fat free american cheese and sprinkle in (you could sub any cheese you like or have). If you have mini muffin liners, use them! If not, be sure to spray your pan well. I didn’t have them and they came out fine! Bake for 20-25 minutes until tops are puffed up and golden brown. Let them cool in the pan for just a few minutes. They will deflate a little. Run a butter knife around the edge of each to remove and place on a cooling rack to cool. It makes 36 mini muffins. Made like this, they are only 1 point for 2!! They keep in the fridge for up to 5 days, reheat well and freeze well! I love coffee. Love love love. But I’m weird and I can’t drink hot things when it’s hot outside. I also can’t eat soups. Soups, hot coffee, cider, hot cocoa, chilli, they just belong in cooler weather for me. I’ve shared the cold brew coffee recipe previously. It is a great one and I love it! Perfect for iced coffee. But what’s better than iced coffee?? BLENDED COFFEE! I love frappucinnos, frappes, whatever they are called at their different stores. BUT they are way too expensive and not as low in points as I’d like them! All you need are a few things and you can make these for only 2 points and right in your own home! Add all ingredients to the blender and blend! I use 2 tsp of coffee, but I like a strong coffee flavor. If you like it weaker use less, stronger use more. I like sweet coffee too, but if you don’t nix the extra teaspoons of Splenda! (Also, if you don’t have the caramel syrup and need a cold coffee fix NOW add 4 tsp of Splenda. Or maybe for some crazy reason you don’t like caramel, that’s acceptable.. I guess. Hehe.) You could also top this with a little fat free Cool Whip or Reddi Whip if you want to get really fancy! All you have to count as points is the 1 cup of skim milk which is 2 points (unless you use A LOT of Cool Whip or Redi Whip or a non-fat free version of either). I have one of these every morning! I can’t wait to get the other syrups in and try peppermint mocha, white chocolate raspberry, mocha coconut and endless possibilities! And don’t worry, I will share all my magnificent combinations with you :). Need some ideas of what to eat with your new yummy coffee beverage? Breakfast is an important meal! Don’t skip it. People who eat breakfast are far more successful with weight loss and maintenance than those who don’t. The possibilities are endless! You don’t have to box yourself into only eating cereal or oatmeal for breakfast! Make it fun with iced, blended and spiced up coffee, but don’t forget to add some substance! I heard on Extreme Makeover Weight Loss this week that when you don’t eat breakfast it sends a message to your body to store fat!! Do you want any extra fat stored?! I sure don’t! I’ll share a few things I love. Whole wheat bagel thins for 3 points (like a bagel but not nearly as many points and just as yummy!) with 2 tbsp1/3 less fat (2 points) or fat free (1 point) strawberry cream cheese. You could use any flavor of cream cheese you like or a laughing cow cheese wedge variety for 1 point. 4-5 points total. Whole wheat light English muffin for 3 points toasted with 4 slices of Oscar Myer precooked bacon for 2 points and a slice of 2% cheese for 1 point. SOO yummy! Microwave the bacon (usually 35 seconds) then build the breakfast sandwich and microwave for just 20 second to melt the cheese. 6 points total. Add fruit (strawberries, bananas, blueberries, peaches) or nuts to your cereal or oatmeal. 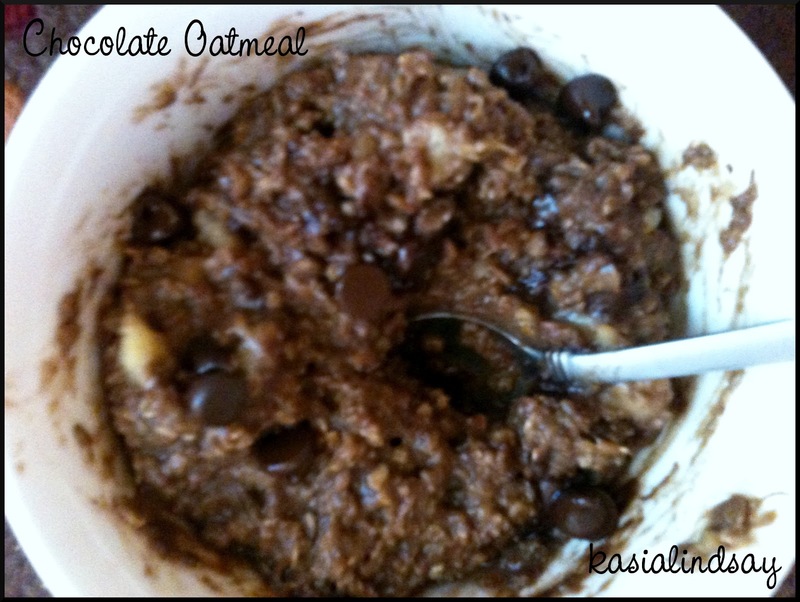 Most oatmeals, unless you get one of the outrageously sweetened ones, are low in points. Most cereals, however, are not! So choose wisely. All the Special K varieties are good choices. I also love puffed wheat! It’s like sugar smacks without the sugar but I always add Splenda and fruit. 1 cup is 1 point! As compared to most cereals that are 4-5 points for 3/4th to 1 cup. Cinnamon toast – Toast 2 slices of Sara Lee 45 calorie bread (I use multigrain, and you could use any bread, but I like the Sara Lee because it’s 3 points for 2 slices vs. the 4 points of most breads). Spray each side with Parkay spray butter for 0 points. Sprinkle with Splenda and cinnamon! 3 points total. Banana sandwich – This is sooo filling! It will definitely take you all the way to lunch. 2 slices of 45 calorie bread toasted for 3 points. 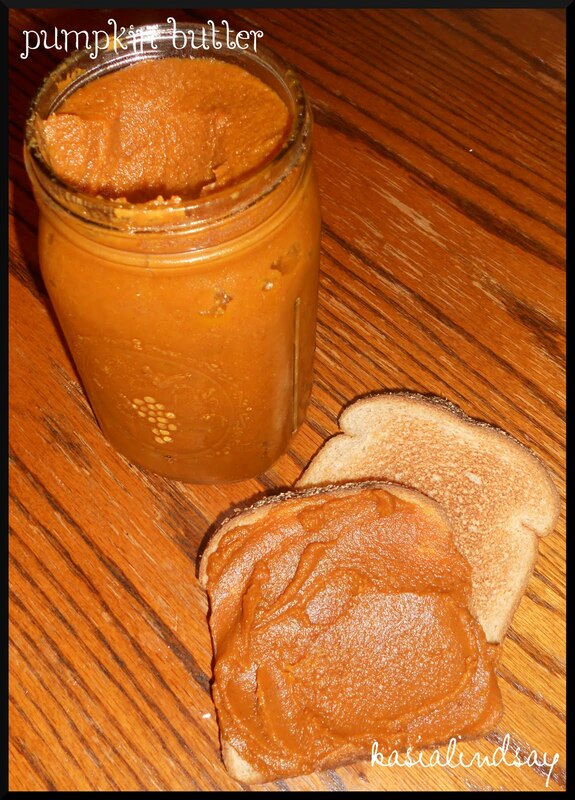 Spread with 1/2 tbsp of peanut butter on each side for 2 points. Slice a banana and build the sandwich! 5 points total. Weight Watchers shakes – You can buy the Weight Watchers shake packets from any Weight Watchers class. They are 2 points if you use water, 4 if you use skim milk. I keep the chocolate on hand at all times, but they do have other flavors too. I always use milk to get in my 2 dairy servings for the day. 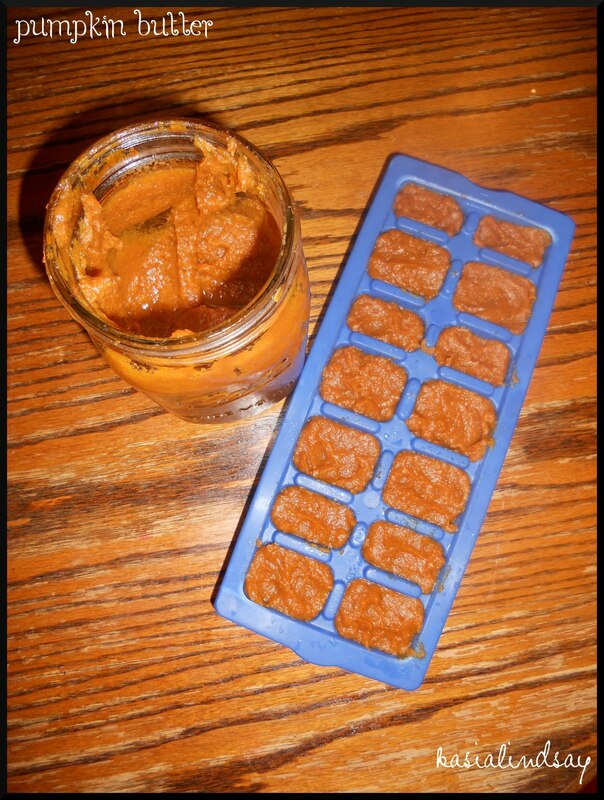 I have made mine in the blender with frozen strawberries as ice cubes. YUM! I’ve also made them with 1 cup of ice and 3 tsp of instant coffee granules. Egg Mugs – Oh my gosh these are amazing and sooo easy! If you have a refrigerator at work you could just always keep a carton of egg beaters there to always be able to make this for breakfast! You can find tons of recipes here, here, here, here, or here. Hungry Girl does these and they are just brilliant! Most are 2-3 points depending on what ingredients you add. It’s scrambled eggs in a cub basically! My favorite ways are with sundried tomato basil laughing cow cheese and either bacon bits or sliced deli turkey meat and green onions. I always add salt, pepper and onion powder to mine too. Feel free to post some of your own ideas and favorites. If you don’t get Hungry Girl’s emails you should! 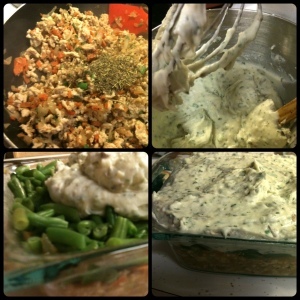 She sends Weight Watchers friendly, healthy, easy, practical recipes a few times a week. As soon as I knew I was making my proxy family/mom’s famous and loved Breakfast Casserole, I giggled knowing I was going to get to name a blog post that. If you know the Joneses, my Joneses, you’d definitely want to keep up. One of the best families I know. The family of my best friend Molly. They’ve taken me in as theirs many times. I had one of the best Christmases I have ever had with them. Ms. Susan and Mr. Jamie are both amazing cooks! Mr. Jamie makes the best salsa I’ve ever had. I could literally eat a gallon. Everything Ms. Susan makes is the best. And they have the best sweet tea! Their house is always cozy and inviting. Always amazingly decorated, smelling yummy, best sheets, best home. They are an amazing, Godly family that I am happy to be an honorary part of. They mean the world to me. For years, Molly had this cookbook I was so jealous of! Ms. Susan made it for her. She wrote all of their family recipes in it. I can’t tell you how many times I wanted to take it from Molly. Well, for Christmas two years ago Ms. Susan made me one! It is the best Christmas present anyone could have give me! I cherish it! And today, I made Ms. Susan’s Breakfast Casserole! I brought it to our SHE Women’s ministry team breakfast meeting. Everyone loved it, as always. No one has ever had Ms. Susan’s Breakfast Casserole and not loved it. It’s so simple, but the flavors are just perfection together. It literally melts in your mouth. Brown sausage. Mix sausage with cream cheese. Preheat oven to crescent roll package temperature. I spray a 9 x 13 casserole dish with a little cooking spray just to prevent sticking, very light because crescent rolls have their own oil. Unroll one package (do not separate) and press to bottom of dish. Just kind of mash any gaps or creases together with your fingertips. Spread sausage mixture on top of that. Top with other package of not separated rolls. Tuck edges in and mash gaps and creases. Bake per crescent roll package instructions, or until golden brown. Serve warm! 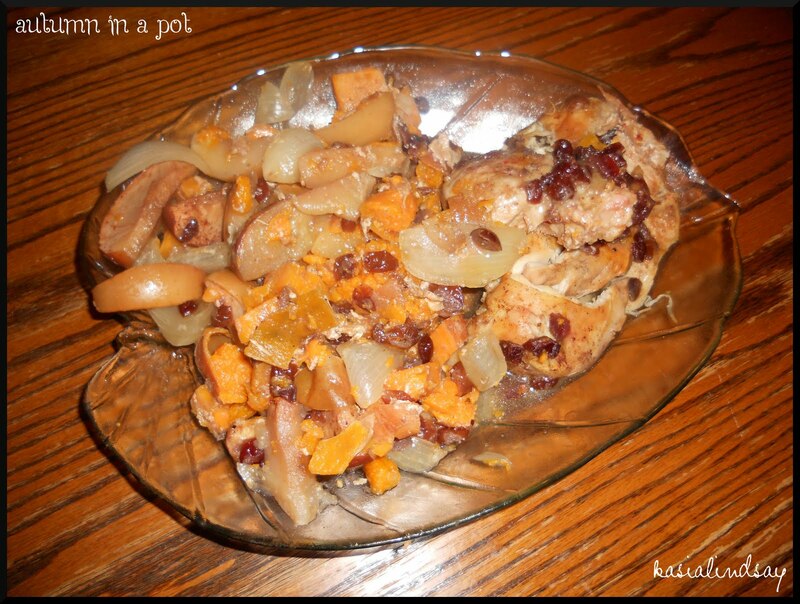 Everyone who eats this yummy dish you make will know that you are… keeping up with the Joneses. Saturday’s scheduled meal was pancakes! But for dinner of course. I had the realization that I don’t believe I have ever made pancakes when they are “supposed” to be eaten. There is just something about pancakes that are so comforting for dinner to me. Mix well. If you have an ice cream scoop, it distributes the perfect amount for perfect sized pancakes! My pan is small so I only fit two at a time. Spray the pan then scoop the batter on. Cook pancakes on medium – medium low heat. When the pancakes started bubbling and were about ready to flip, I spooned on, in a swirl design, a little brown sugar butter. Melt 1/4 cup of margarine, butter, whatever, I used smart balance in a measuring cup in the microwaves. Spoon in a few tablespoons of brown sugar and a few shakes of cinnamon. I just used a metal teaspoon full on each. Flip and cook for just about a minute or less longer and done! I also mixed up some cinnamon sugar with just a drop or two of butter to make it slightly crumbly and sprinkled that on top. Once they were all done, I drizzled the remainder of the brown sugar butter over all the pancakes, probably less than a tablespoon less. They need no syrup, no butter. They are warm, cozy and comforting! You can omit the cinnamon sugar sprinkle or even the brown sugar butter if you want. They batter stands alone. But you usually butter pancakes anyway, so I just decided incorporate the butter in a swirl! Enjoy! Amanda and her mom made a version of the pork tenderloin that was great! I didn’t have the recipe so I decided to searched recipezaar.com for a similar recipe and combined things from different ones I liked to come up with this on. 2. Remove any excess fat from the roast. 3. Put potatoes in bottom of 13×9 baking dish sprayed with non stick cooking spray. 4. Rub the salt and pepper into the surface of the pork then brown each side in a pan. 6. Place pork on top of potatoes. 7. Pour broth or apple juice over all. 8. In a small saucepan, heat the preserves, apple juice, rosemary and garlic over medium heat, stirring frequently. 9. When thickened, spoon 1/4 cup mixture onto pork reserving remainder. 10. Insert meat thermometer so tip is in center of thickest part of pork. 11. Bake uncovered 1 hour 15 minutes to 1 hour 30 minutes or until the thermometer reads 155°F. 12. Cover pork with foil and allow to stand 15 to 20 minutes or until thermometer reads 160°F. 13. Cut roast into slices. 14. Heat the reserved preserves mixture and serve with roast. 1. Put potatoes in the crock pot. 5. After browning, deglaze the pan afterward with the 1 cup or less of apple juice or broth. 9. When thickened, spoon 1/4 – 1/2 cup mixture onto pork reserving remainder. 10. Cover and cook on low for 4-6 hours on high or 8-10 on low. 11. Cut roast into slices. 12. Heat the reserved preserves mixture and serve with roast. I also wanted to bake something so I made some mini muffins. This recipe is from the Better Homes and Gardens cookbook on page 126 in the breads section. 2. Preheat over to 400. Grease muffin tin and set aside. 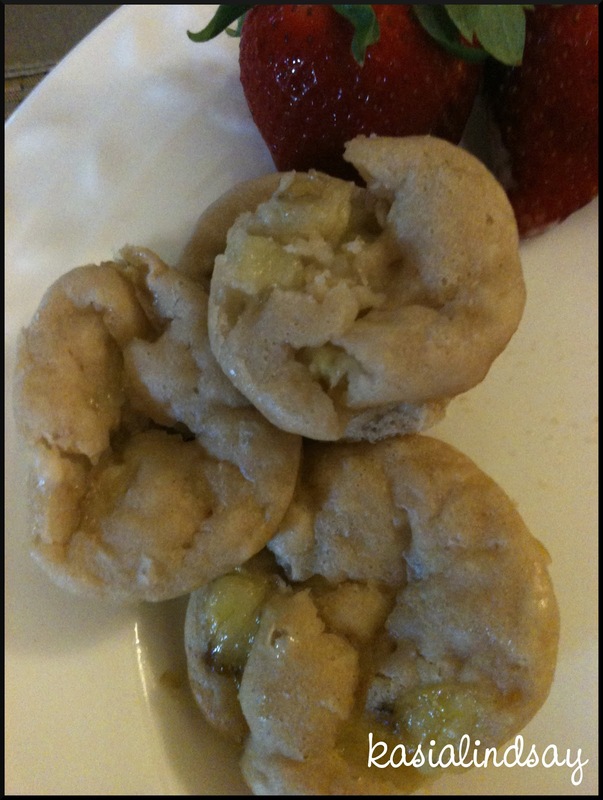 In a medium bowl combine flour, sugar, oats, baking powder, and salt. Make a well in center of flour mixture, set aside. 4. 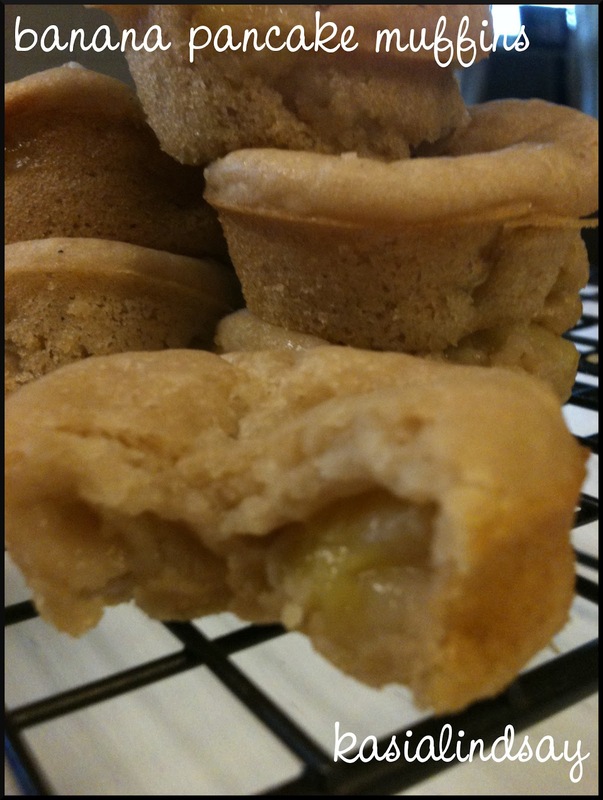 Spoon batter into muffin tin, filling each two-thirds full (makes 12 standard muffins, 24 minis, or 6 jumbo). Sprinkle streusel topping over muffin batter in cups. Bake for 18-20 minutes for standard muffins or 10-12 for mini muffins (30 at 350 for jumbo) until golden brown or toothpick comes out clean. Cool muffins on a wire rack for 5 minutes. Serve warm. And for dinner I ate a gourmet classic, grilled ham and cheese ha. I’m thinking if I come up with a theme for every day I will blog more. Not that I have to blog more, but I like writing. It’s a good creative outlet for me. Recipe Sunday, Contemplative Monday, Poetic Tuesday, Quotable Wednesday, Question and Answer Thursday. There we go.